The field of conceptual history has expanded significantly in recent decades. Having once been a sub-discipline of intellectual history whose practitioners were largely confined to Germany and northern Europe, it has now established itself as a distinctive discipline that has enlarged the scope of its enquiries and the sophistication of its methodological approaches. This expansion has, however, brought new challenges. As scholars from other disciplinary contexts have begun to contribute to its development, and as its approach has been employed to explore a broader range of phenomena, many of the methods and assumptions that informed its earlier development have come under scrutiny. And in light of contemporary political developments, the distinctive questions that informed its founders' thinking have lost some of their pertinence. 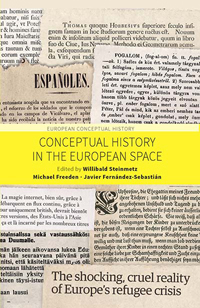 Conceptual History in the European Space traces some paths out of this methodological impasse. Reinhardt Koselleck's work has been particularly influential in shaping conceptual history's methodological development. It is perhaps unsurprising, then, that his categories and methodological propositions are central reference points for the ten essays contained in the book. Indeed the book is, in many respects, an attempt to initiate a dialogue about what a post-Koselleckian conceptual history might look like. In this respect, it makes a number of very significant and timely advances. First, it enriches our understanding of concepts and locates them within new analytical frameworks. Koselleck's work was, in the most general sense, concerned with exposing the contingency of concepts. Challenging the Hegelian notion that a concept could be an ontological unit, he revealed the ambiguous and controversial nature of the concepts that are central to political thinking. In his contribution to the book, Michael Freeden extends this logic. Drawing upon his own seminal work on the notion of essential contestability, he identifies two ways in which conceptual history can expand its understanding of concepts. The first concerns the way that concepts generate meaning. He suggests that concepts are necessarily composite entities. They contain multiple meanings that are organised in interdependent relationships, and in any particular usage, a concept will privilege some of these meanings and negate others (123). This notion invites the conceptual historian to conduct micro-analysis of the way in which the internal structure of a concept determines the way it produces meaning. Second, Freeden contends that concepts are necessarily interdependent. Far from being atomistic and isolated, they derive their meaning from their relationships with other concepts that exist in the same semantic fields. It follows that if we are to trace the genealogy of a concept, we need to map its logical and cultural relationships with other concepts. Freeden's approach informs many of the essays in the book. Indeed several contributions employ the notion of conceptual morphology to explore how concepts generate meaning. Two dimensions of concepts are given particular attention: the temporal and the spatial. In his work, Koselleck was particularly concerned with the temporal meanings that could be produced by concepts. Indeed his notion of a 'Sattelzeit' sought to capture the way in which basic political concepts acquired future-orientated meanings in the wake of the social and technological change that re-shaped European societies after 1750. Yet, as several essays in the book note, the Sattelzeit thesis threatened to obscure the uneven and contingent manner of conceptual change. In their respective essays, Willibald Steinmetz and Helge Jordheim substantially modify the ideas that informed it: they challenge the 'unilinear view of history' (82) that it threatened to encourage, and they devote attention to the asynchronicities of conceptual change. 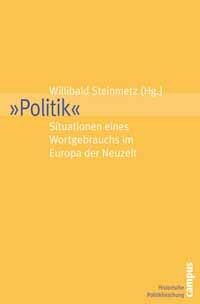 With precision and clarity, Steinmetz deconstructs the Sattelzeit thesis into its constituent parts and contends that conceptual change is variable, reversible and repeatable. Koselleck may have developed rich concepts for understanding the relationship between social and linguistic change that remain valuable, but we should not, Steinmetz argues, employ them to construct one temporal framework that is equally valid for all European conceptual histories (83). Arriving at similar conclusions, Jordheim explores the way in which concepts can, at one particular moment, convey multiple notions of temporality. Koselleck gestured towards this notion by employing the term Zeitschichten to denote the plurality of meanings inherent in every concept. But his preoccupation with a diachronic approach to studying these meanings often led (50) to an undeveloped notion of the asychronicities that marked the development of key social and political concepts. What Jordheim advocates is a more synchronic approach that can expose the multiple temporalities that concepts can possess. Adapting Ricoeur's famous adage, he suggests that concepts possess a 'surplus of time' (51). He employs the example of revolution. When it has been employed to describe contemporary phenomena, this concept can convey the various temporalities that it has acquired in the past. Where the book makes its boldest contributions is in its exploration of issues that were awarded only marginal significance in the work of Koselleck and other architects of conceptual history. Of these, perhaps the most notable is what Freeden and Steinmetz call the 'performativity' (2) of concepts, that is, the way in which concepts acquire their communicative authority in 'real world' usage. Under the influence of Quentin Skinner's work, Kari Palonen explores the relationship between concepts and rhetoric. Taking parliamentary debates as a case-study, he arrives at the conclusion that we need a better understanding of the way in which concepts acquire their political dimension. Concepts set agendas, they determine the procedures that inform debate, and they establish horizons of possibility. By evaluating these rhetorical functions, it is thus possible to 'render intelligible the specific types of conceptual disputes that express the range of variation to be found in the political aspect of any key concept as they are utilised in debates' (110). Steinmetz advocates a similar kind of methodological move that he calls a 'propositional turn' (75). Rather than being preoccupied with abstract nouns, conceptual historians, he argues, might devote more attention to sentence constructions in their search for the use of concepts in more inconspicuous, vernacular discourses. Together, these contributions not only locate concepts within the 'grammatical environment' (134) in which they are used; they also equip students of conceptual history with some typologies and approaches that can be employed to map this environment. Taken together, these essays represent a landmark in conceptual history's theoretical and methodological development. They are a testament to its practitioners' creative and fruitful engagement with methods and approaches forged beyond the field of intellectual history. By adding layers of depth to our understanding of both concepts and the semantic fields in which they have operated, their authors go some way towards establishing a post-Koselleckian research agenda that can allow conceptual history to flourish as it expands its own horizons of possibility. At a time when we seem to be experiencing an acceleration of conceptual change that is re-working understandings of the European space, this reinvention is particularly welcome. Reinhart Koselleck: The Practice of Conceptual History. Timing History, Spacing Concepts, Stanford, California 2002. Michael Freeden: Ideologies and Political Theory: A Conceptual Approach, Oxford 1996. Also see Diana Mishkova / Balázs Trencsényi: European Regions and Boundaries. A Conceptual History, New York / Oxford 2017.